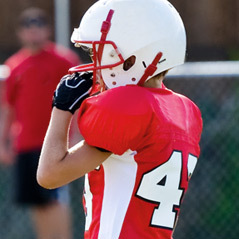 The purpose of the Youth Tackle Football League is to foster a passion and understanding of the game of football in young kids in 4th, 5th, and 6th grade. Instruction includes basic skills set, discipline, sportsmanship and fair play, and the importance of being a contributing member in a team sport. 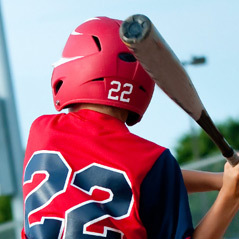 The purpose of the Youth Baseball Teams is to foster a passion and understanding of the game of baseball in young kids ages 15 - 17. 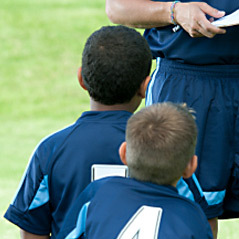 Instruction includes basic skills set, discipline, sportsmanship and fair play, and the importance of being a contributing member in a team sport. 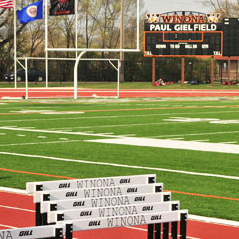 The purpose of the Morrie Miller Winona Area Strength and Conditioning program is to foster physical development and athletic skills while teaching the value of personal discipline, character, commitment, and the subordination of self-interest to the higher goal of team achievement.